The fiftieth anniversary for The Beatles' arrival in the United States of America has been triumphantly celebrated in the USA, and as a result, no fewer that thirteen Beatles albums are on Billboard's Top 200 albums chart. But there are two films that should have benefitted from the renewed interest in the Beatles in the USA, and we are presenting them today. I Wanna Hold Your Hand is a 1978 comedy film directed and co-written by Robert Zemeckis, which takes its name from the 1963 song of a similar name by The Beatles. It was produced and co-written by Bob Gale. The film is about "Beatlemania" and is a fictionalized account of the day of the Beatles' first appearance on The Ed Sullivan Show (February 9, 1964). It was released in 1978 by Universal Studios. The film is the feature film directorial debut of Robert Zemeckis and also the first film that Steven Spielberg executive produced. Even though modestly budgeted, in order to convince Universal to bankroll it, Spielberg had to promise studio executives that, if Zemeckis was seen to be doing a markedly poor job, he would step in and direct the film himself. Despite positive previews and critical response (The New York Times wrote that "the whole film sparkles with a boisterous lunacy" and called its plot "positively dazzling"), the film was not a financial success and was considered a flop, unable to recoup its rather modest $2.8 million budget. Zemeckis later said, "One of the great memories in my life is going to the preview. I didn't know what to expect [but] the audience just went wild. They were laughing and cheering. It was just great. Then we learned a really sad lesson....just because a movie worked with a preview audience didn't mean anyone wanted to go see it." Despite the flm's original lack of success, it has always been a big hit among Beatles fans. I remember when I got my first VHS copy of the film back in the early eighties, it was a delight to watch, and serves as a great time-capsule. When I visited New York City in 2005, one of the things I brought back with me was a DVD of the film. As it was region coded to 1 (USA only), I then had to rip it to my computer and make a region free copy to watch on my DVD player in the living room. 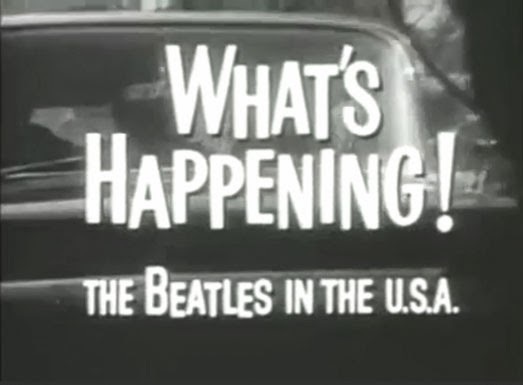 The Beatles: The First U.S. Visit is a 1991 re-edited version of renowned documentary filmmaking team Albert and David Maysles' 1964 16mm documentary What's Happening! 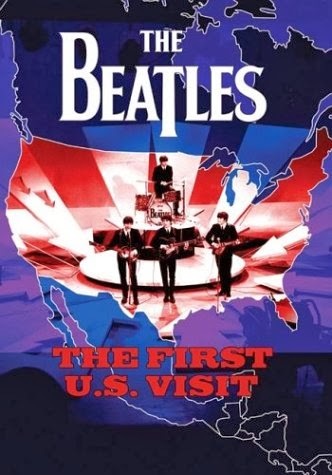 The Beatles In The U.S.A., about the Beatles' first visit to America in February 1964. 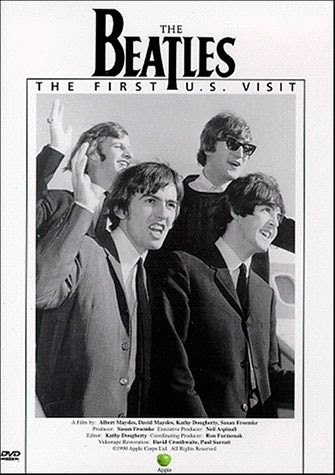 It documents the Beatles' US trip as they travel to New York City, Washington, DC, and Miami Beach. Footage of the Beatles (often acting irreverently in front of the camera) in hotel rooms makes up the majority of the non-musical portion of the film. The main difference between the original 1964 documentary and the 1991 re-edited version is that 22 minutes of the Beatles' live recorded performances on The Ed Sullivan Show have been inserted the 1991 release. However, as the 1964 documentary is 81 minutes long and the 1991 version is 83 minutes, some 20 minutes of the 1964 documentary have been excluded, such as several scenes with Brian Epstein. Like I wrote in this post, the 1964 "What's Happening! - The Beatles in the USA" film was screened at New York City Library for the Performing Arts on February 13th. 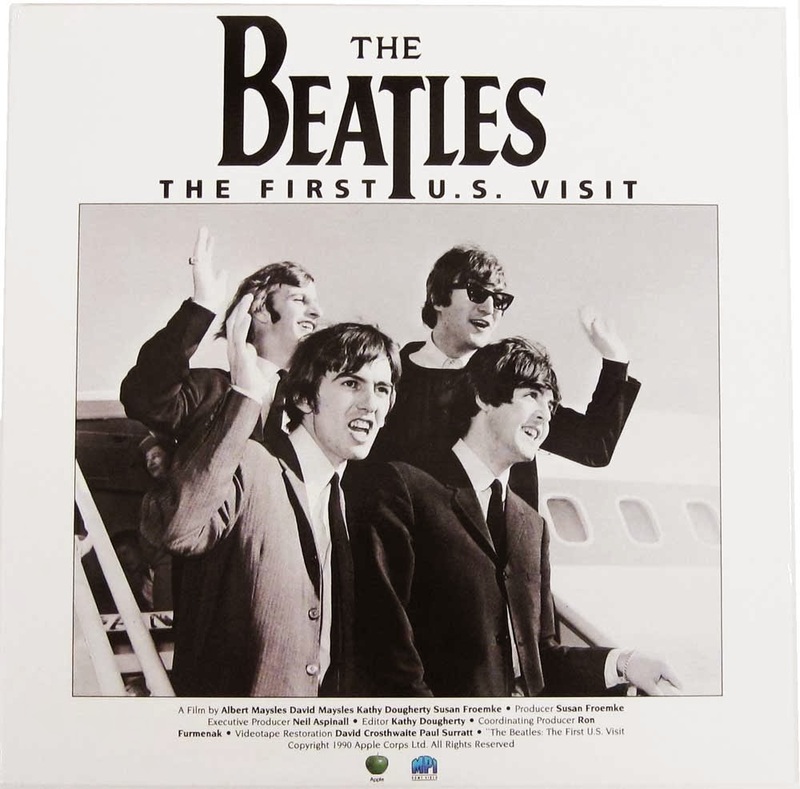 The initial 1991 release of the 81 minute "The Beatles First U.S. Visit" was on laserdisc only, and at the time I didn't own a laserdisc player. I needed to review the film for the Norwegian Beatles fanzine, "Norwegian Wood", and, lucky for me, I had an acquaintance who had the player and a copy of the film. He wrote a review, and later dubbed the film on to a VHS cassette for me, so that I could watch it for myself at home. Later on, illegal VHS cassettes of the film were made and distributed in Australia (or was it New Zealand? ), and I got a copy of that as well. Apple Corps Ltd never bothered to bring it to the VHS market themselves, but it did eventually become an official DVD on MPI in 1998, which I bought. It was re-released on DVD in a better bit rate in 2003 for the 40th anniversary, with a booklet and a most welcome 51 minutes long "Making of", which included lots of material not in the film itself. So naturally, I had to buy it again. Why these releases haven't been marketed for the 50th anniversary is beyond me, but perhaps they will be promoted in the upcoming weeks. Apple Corps Ltd could easily do a Blu-ray of "The First U.S. Visit" by just re-scanning the original film with a better bit rate and at a higher resolution, but reusing the material from the Ed Sullivan Show probably requires a new deal with SOFA Entertainment, who owns those rights. Anyway, both "I Wanna Hold Your Hand" and "The First U.S. Visit" are still in print on DVD and are relatively cheap from Amazon.com. I'd like to know what those missing scenes are as well. Sadly, though, we may never know as Apple insists on homogenizing the Beatles' story to one set narrative. Beatles Story, "What's Happening! ", the US mixes… they seem to be pushed out for something that's defined by Apple of today. Even The Bootleg Series works this way. Looking at the track listing for the 1963 volume carefully, I could swear it's made up mostly of songs rejected from Anthology and Live At The BBC more than the selection of songs best released.